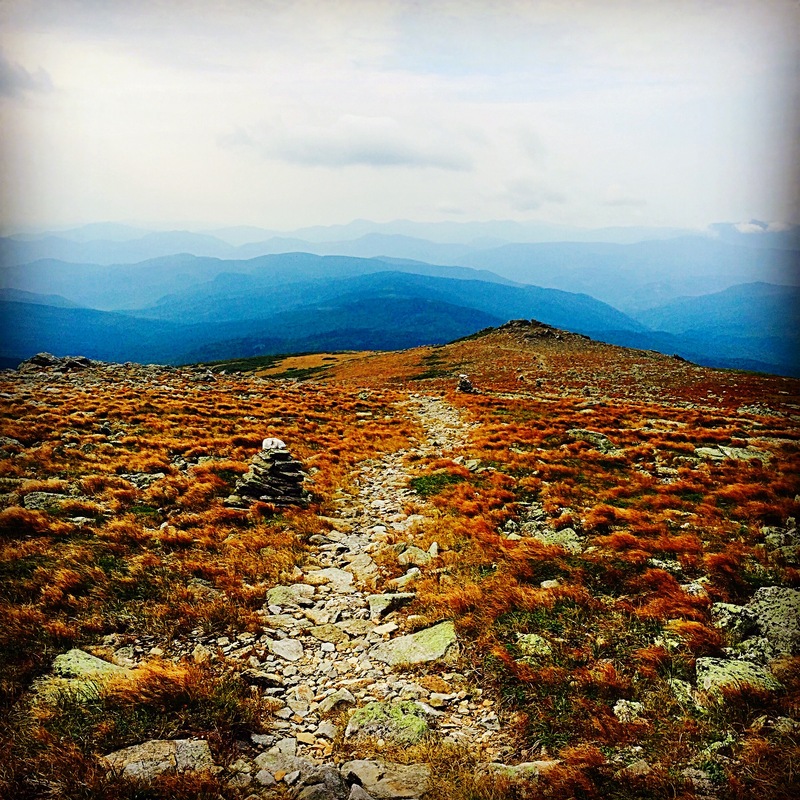 It has been something of a tradition for me over the past several years that, on a day in late summer, I’ve run up the 3 mile approach up the slopes of New Hampshire’s Mount Washington to the base of the Pinnacle in Huntington Ravine, climbed the 500 ft route (rated 5.5), and run back down to Pinkham Notch. Yesterday, I knew when I had reached the base of the technical climbing and laced up my climbing shoes that I was well ahead of my pace from last year. At the top of the climb some 20 minutes later, I knew that I could crush my PR of 2 hours and 52 minutes from last year. …I looked around, soaking in the solitude of being alone among the massive granite ravine spires, ledges, talus, and waves of krummholz that arced away to the north. And I realized that this day was for something else. Something besides chasing last year’s time on this route. It was about taking the long way and taking my time. 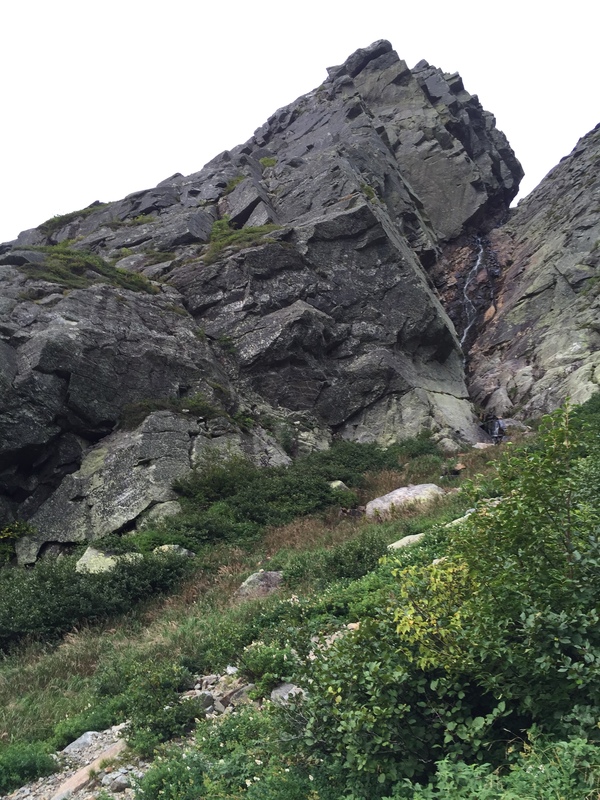 When I scrambled up the scree past cranberry, blueberry, and redcurrant and joined the Alpine Garden trail a few minutes later, I turned north–toward Nelson Crag and the trail that would take me over the summit of Mount Washington. From there, I made my way across the Bigelow Lawn along the lesser traveled Davis Path toward Boot Spur, across Slide Peak, and beneath Glen Boulder to wind back down to the trailhead in just over 4 hours. Whether in planning a long run or expedition, or thinking about personal or community (or even global) resilience, we are ever deluding ourselves to think there is some shortcut; a path that just gets us where we want to go without distraction. It’s taken me a long time to understand that there never really is a shortcut–at least not one that doesn’t demand something from us in return–some compromise or some future debt. If we are to truly recognize ourselves as part of a larger system, then it’s important to recognize what what happens elsewhere in the system when we don’t make time to take the long way. May sound silly but I’ve had so many similar experiences (albeit not crushing any PRs!) including being stopped in my tracks for 30 minutes to watch a slug. Great post!